"Everybody is worried about the bottom line," says Beattie, president of Top Line Restaurants Inc. "If you grow your top line sales every year, year-over-year, the bottom line will take care of itself. That is why we named the company Top Line. If we are going to worry about one thing, we are going to worry about the Top Line, and it is going to be about growing guests." The Chandler, Ariz. based franchisee, who has owned as many as 35 Denny's simultaneously, now operates 14 Buffalo, New York area Denny's in addition to Corner Bakery Café and Bahama Bucks Original Shaved Ice Company locations. 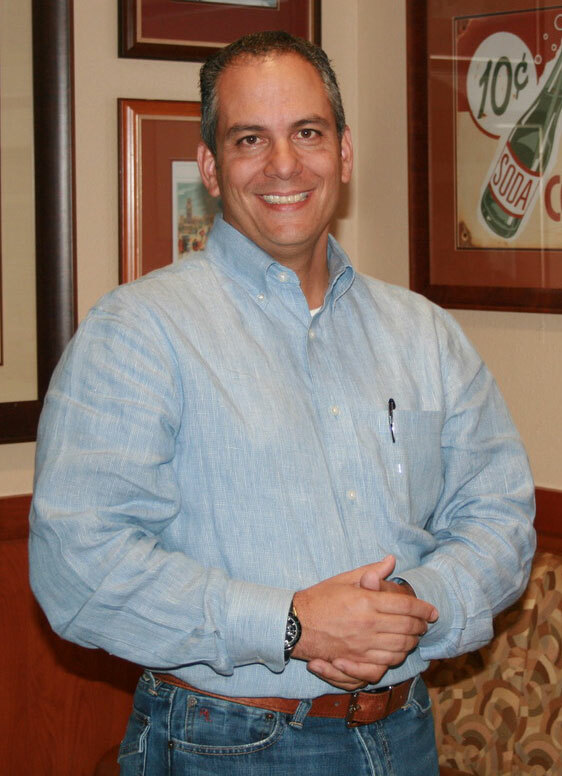 He has spent his entire career with Denny's, starting as restaurant assistant manager and working his way up the corporate ladder for a franchise company. His wife, Tina, who was a Denny's restaurant hostess when they met, is vice president of Top Line and "the brains of the company," says Beattie. 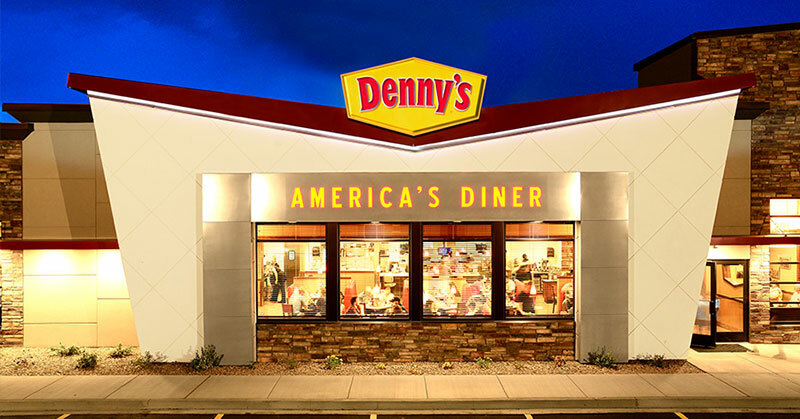 In 2003, the pair became first-time franchisees with the acquisition of three Denny's stores in Phoenix. "Denny's is my first love as far as brands go - always will be," Beattie says. "I would invest in Denny's all day long, if we found the right places." And, the brand has returned the affection. The Beatties were named Operator of the Year in 2010 and received the President's Guiding Principle Award in 2012 from John Miller, Denny's president and chief executive officer, for their outstanding commitment to the Denny's brand. "Most, if not all, the success that Denny's has had in the last five or six years is due to his leadership and guidance - and that of CFO Mark Wolfinger," says Beattie. "They have done an amazing job with this brand. You can see from the groups and outstanding operators that have come in that are trying to be part of this brand." Beattie has also spent the past 12 years as an elected member of the Denny's Franchisee Association, where he currently serves as secretary and sits on the DFA's Brand Advisory Council's operations committee. When it comes to Denny's relationship with its owners, Beattie says nothing is off limits, which has resulted in tremendous buy-in by the franchisees. "We have monthly conference calls and every quarter we sit down with Denny's Inc. leadership," Beattie says. "Everybody comes...we go through everything with the brand and work together with the group. I don't think there is another brand that has that type of openness and creativity that they can sit together and work on everything from marketing to operations." Beattie has invested in a variety of brands over the years and is fresh into an Arizona development plan with Bahama Bucks, with five of the tropical dessert stores under development and plans for up to 25 stores within five to eight years. Top Line's business philosophy stems from Beattie's experience during the 2009 acquisition of 28 corporate-owned Denny's offered to him, a deal closed just as the stock market hit bottom. The company grew from four restaurants to 32 overnight and provided Beattie with his first "ah ha" owner moment when he quickly was deluged with repeated questions from the field on handbooks, operations manuals, and rules. While Beattie sold some of his portfolio in 2015, the culture of his company will never change. "We have two rules: be nice and say yes," says Beattie. "We live by those rules with every brand and everything we do. It is really simple. When a guest asks you for anything, your first response needs to be yes and then you need to figure out how to do it. If you can't figure it out, there is someone in that restaurant who can."